It has been argued that one can become media person just by joining a media institute/college, without any exposure to real media industry. However, with some more specific & rigorous training processes plus regular exposure to the real media workplace & work cultures and the constant interaction with the media professionals may really become important in order to achieve a higher order of media education. 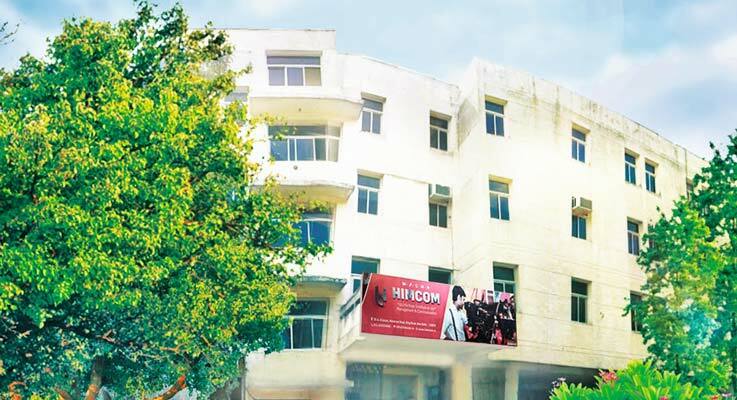 Heritage Institute of Management and Communication (HIMCOM) is one of INDIA’s finest media training institutes which provide various UGC-approved university degrees, diplomas and certificate courses. HIMCOM is a platform to those students who aspire to join the fastest growing media industry of the country. We firmly believe that a plant can be grown fruitfully on a fertile soil, similarly a student can excel or outperform only in a fertile learning environment. Himcom is housed in fully air-conditioned state of the art environment. Fully equipped studios with Online Edit, Graphics, PCR and MCR. Professional training in a 24 Hrs. broadcasting facility. Air conditioned class rooms, library and lounge. We are a part of state-of-the-art, multi-GB, broadband network for providing a unified high speed internet coverage round the clock. These facilities provide greater learning opportunities for our students and connects not just our computer lab but the various studiios and multimedia rooms too. Offline Video Editing Bay for news, documentary, short-films, ad-films, corporate films. IT Centre for online research, content writing, online publishing, web journalism, graphics, page-layout & design for printed media. An international news portal run & Published exclusively by HIMCOM students.